We have done the hard work for you and here are 10 of the Most Romantic Things you can do in Niagara Falls. Many honeymooners and loved-up couples come to Niagara Falls, ON, Canada. It started when Napoleon Bonaparte’s brother, Jerome traveled from New Orleans to spend his honeymoon in Niagara Falls. 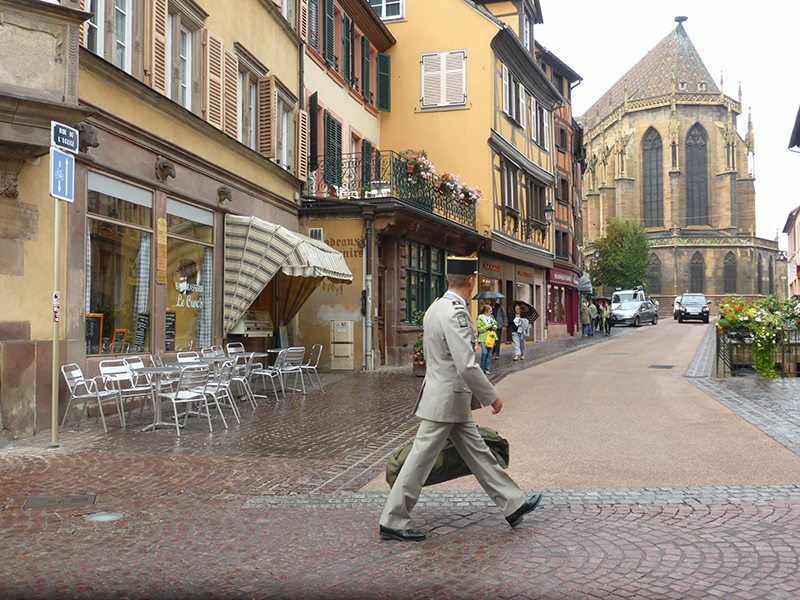 He was so euphoric about his stay here that it became the go-to destination for elite French people. It has remained a magnet for loving couples for many years. The city of Niagara Falls plays host to about 50,000 honeymooning couples a year, and Niagara Falls Tourism even gives out honeymoon certificates signed by the mayor. Here are the Top 10 things that we think will keep that romance alive or get you started on the right foot when you visit Niagara Falls. Make sure that you get yourselves a WeGo Ride to Fun pass, which gets you around to all of the attractions easily, saving more time for ROMANCE. 5 5. Learn about the Birds and the Bees. 11 Any More Romantic Ideas? 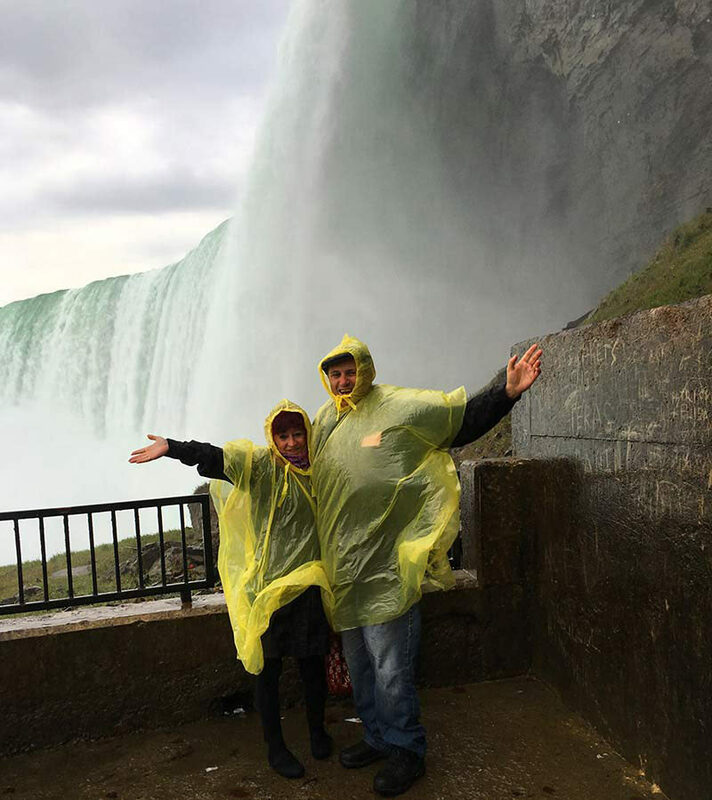 The Hornblower Niagara Cruises will take you and your loved one right up to both the Candian Horseshoe Falls and the American Falls, which is entirely on the American side. You will get very wet together and have an incredible time seeing these unique falls from the water. As you dress in identical ponchos near the Bridal Veil Falls, you will feel your love blossom. As you huddle together and gasp in awe at these seriously spectacular falls, your love will be solidified. Nothing could be more romantic that walking along the Illuminated Falls of Niagara Falls hand in hand, wiping the falls spray from one another’s faces. Niagara Falls are a blaze of colour as the volume of water thunders over the precipices. Journey Behind the Falls and hear the thunder as the water roars down. As a couple, descend through the tunnels to the Observation Decks literally behind the falls. In winter, hold hands tightly as the mist freezes into beautiful ice formations. Kissing is always good for Romance, and if you read Kissing Around the World, you can practice all of these at The Niagara Skywheel. 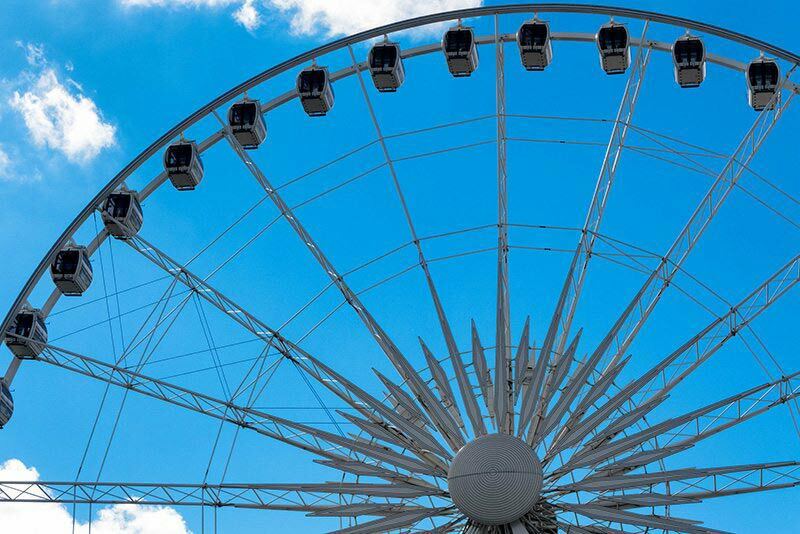 You can’t miss this huge sky wheel located on Clifton Hill, the Street of Fun in Niagara Falls Ontario. You will have the magnificent views of both the Horseshoe and American Falls in the climate controlled carriages. 5. Learn about the Birds and the Bees. Visit the legendary Lost Kingdom. Discover exotic birds and animals in the tropical rainforest at the Bird Kingdom, the largest indoor free-flying aviary in the world. Learn about the birds here, and probably the bees as well. Visit either Casino Niagara or/and Fallsview Casino Resort, which offer year-round entertainment, as well as a lot of gaming facilities. Win back your money or make some money and pay for those rings. Responsible gambling however is advocated if you want your relationship to have any chance of lasting. Dine at the world-famous Revolving Dining Room Restaurant and either pop the question or think about why you popped the question as you watch the illumination of the lights over the falls. Niagara Ontario Canada is wine country, and you will be pleasantly surprised at how many there are here. Wine and dine at any of these and keep your love alive and flowing. Read more about the wine country here. Yes, the butterflies will be like confetti all over you as you visit this natural rain forest. They will gently caress your arms, face and if you wear bright colors, you will find that you are both the center of attention for these unusual butterflies. 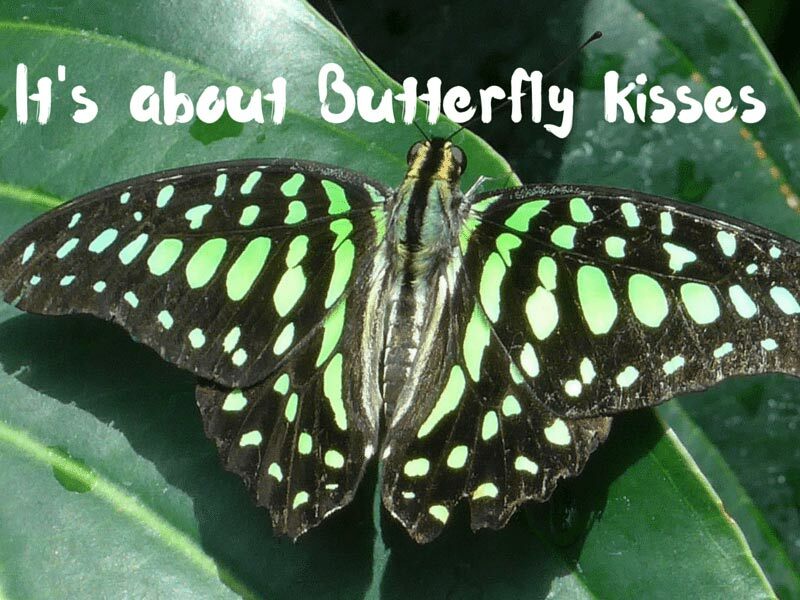 And Butterfly kisses are all of the rage. You know that a romantic hotel will make your stay. The DoubleTree Fallsview Resort & Spa by Hilton is this hotel. (Latest prices here) This hotel is like an upmarket hunting or ski lodge with a roaring open fire, and a lot of stone and woodwork giving it a very welcoming ambience. When they presented us with a welcome warm chocolate chip cookie, the signature of this hotel, it completed this very welcoming picture. The rooms have fabulous views over the falls, and when you need a change of scenery, you can have a spa, a swim in the warm water pool and hot tub or even a dry sauna. You cannot go wrong. 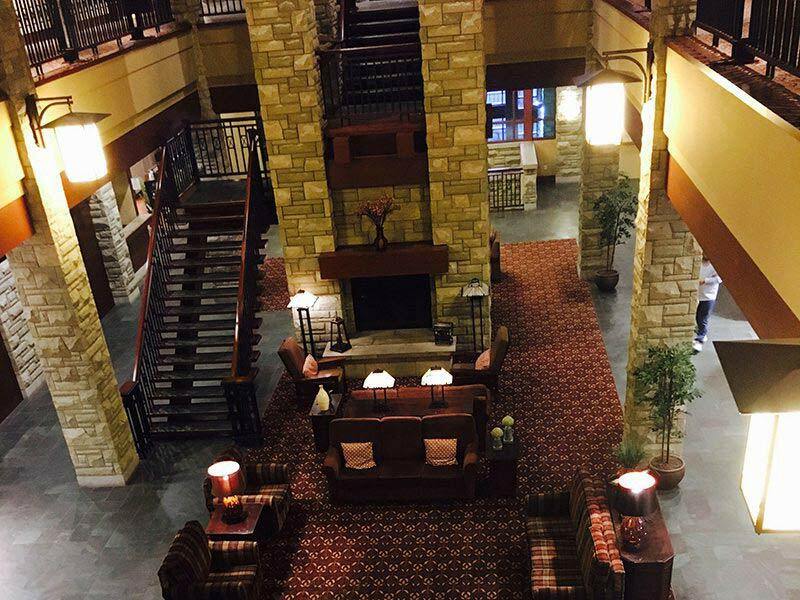 Read about our amazing experience at The Double Tree Fallsview by Hilton at Niagara Falls. 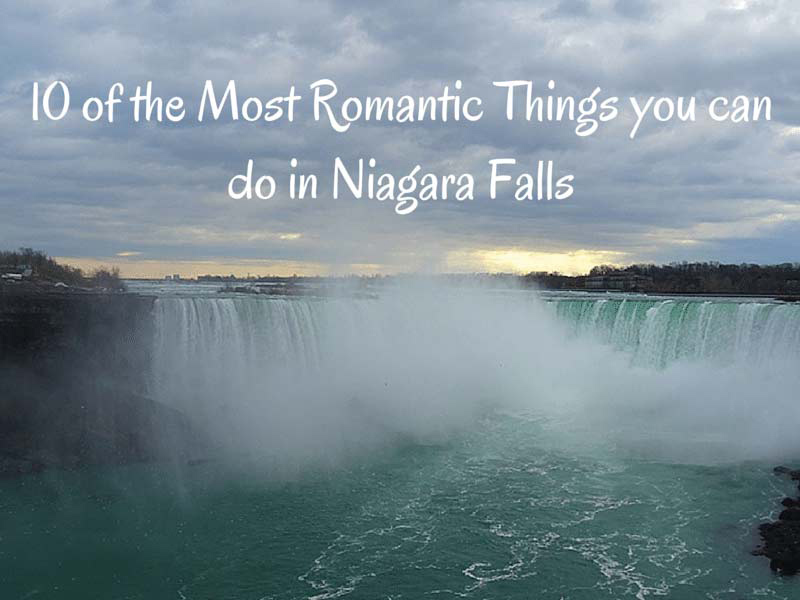 These are 10 of the Most Romantic Things you can do in Niagara Falls, but I am sure that you can find many more. Thanks to Niagara Parks and DoubleTree Fallsview Resort & Spa by Hilton – Niagara Falls for allowing us to further our romance. Wow the pictures are amazing. I didn’t realize Niagara Falls lit up with so many colors. Beautiful and romantic. Niagara Falls is on our list and I can’t wait to see it. Hope to see many butterflies as well. Thanks for the wonderful pictures and romantic list. Thanks and we found the falls to be amazing. Oh I didn’t know napokeon back story! Those are lovely ideas and I presume you had a romantic trip there then? Yoir hotel looked lovely too ? I was there as a poor student so will have to go back to eat elsewhere other than Macdonalds and to relieve the getting wet under the waterfall part! At night it must look stunning too! It is beautiful at night. The falls are magnificent and we had an excellent hotel with a great restaurant too. Great list! It looks like you had a great time! Thanks, it was a different experience and the falls are amazing. Thanks Meg, the falls themselves are magnificent, more so in person. Taking a moonlit stroll is definitely my kind of thing – whether with someone or alone, although I’d probably look like a sad guy by couples in the area, haha! Interesting though that they actually have a honeymoon certificate! Crazy about the honeymoon certificate. They need an Elvis chapel. Thanks, it is too often we don’t see what is outside of our own front door, but more often than not don’t have the time. Such a cute post! Loved your titles for each suggestion 🙂 We live in TO and love to make the trip around the lake to visit. Our favourite thing to do is visit the nearby wineries! Thanks, I had a lot of fun writing it. I’d love to take that boat ride and also go behind the falls. When we finally visit, we’ll very likely have our 3 children with us, so it won’t be all that romantic. Still, I think it will be fun. I had not heard about Skylon Tower. That does look like a good place for meal. I think your children will love it. It seems very geared towards families as well. The moonlit stroll is lovely and getting the mist in your face is interesting. Did someone say winery visit? I’ve heard Niagara does some great ice wines. I was surprised that there are a huge amount of wineries in Niagara, ON. 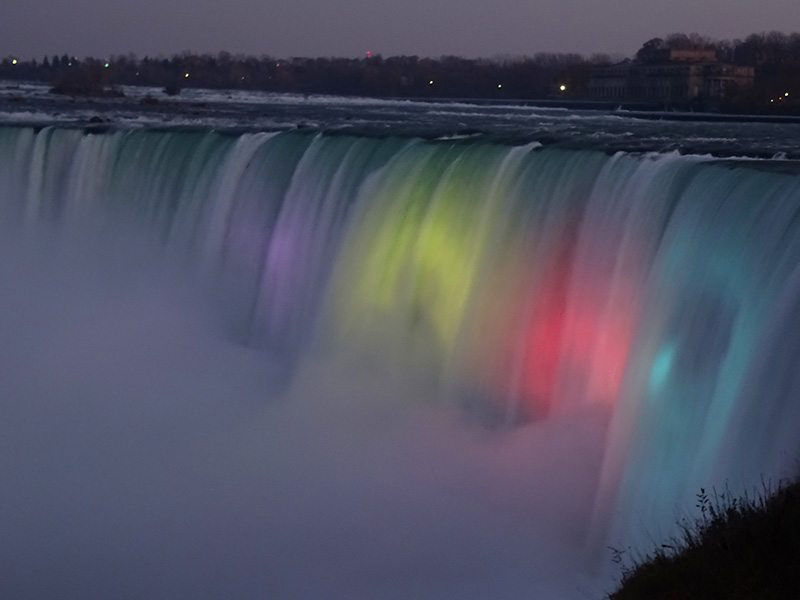 I didn’t realize that the Falls were illuminated at night with lots of different colours, they’re stunning! It was amazing and I am doing a post about the history of it, which is really interesting. Funny thing, when we visited the Niagara Falls years back, we didn’t get to go on a boat, because I was four months pregnant at a time and didn’t want to risk it 🙂 We did vineyard tours, but then again, I did not drink. I’d suggest to people visiting to take a day and visit Niagara-on-the-Falls nearby. Very cute nice town. Good point, we didn’t get the time unfortunately. I will go all these (maybe not the casino). I have always wanted to visit the Niagara Falls. I know it is touristy and full of honeymooners but that doesn’t deter my desire to visit. I am not into casinos either. It is touristy but the falls is exactly why. They are spectacular. 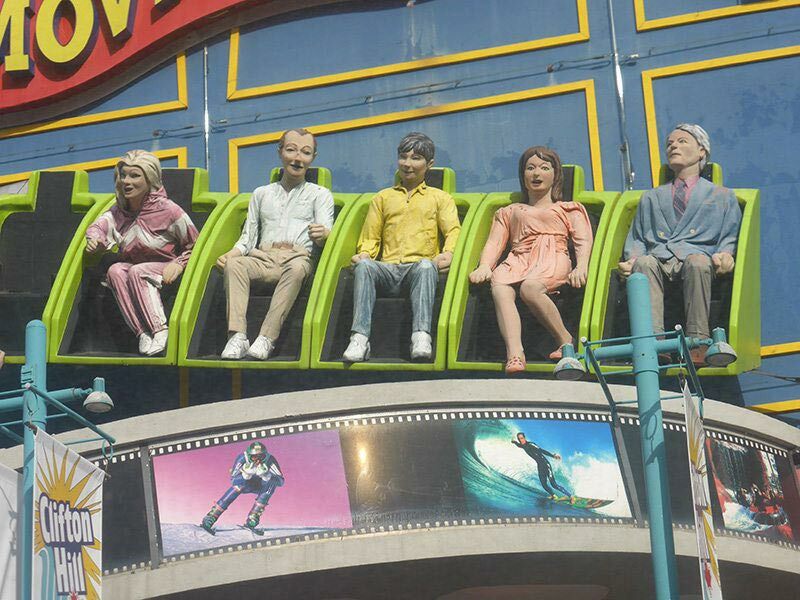 You two look like you are having the time of your life! I love your rain poncho shot! So much fun! It was our glamour shot of the trip Corinne. It is the falls that make the place, the rest is very theme park.